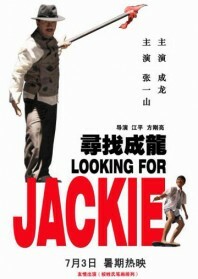 A muddled family film designed to re-position Jackie Chan (or, rather, the Jackie Chan ‘brand’) as a nationalistic spokesperson for Chinese youth. The film feels like a calculated, committee-driven byproduct of Chan’s closer ties with the Communist government’s advisory board. But placing cynicism to one side, the message seems wholesome enough; teaching the doting boy at the centre of the film who is desperate to be his disciple that he should respect his elders, stay in school and learn Chinese for the betterment of the nation. But there’s a self-consciousness to the film which acts to spoil most of the fun. It’s also all over the place, and filmed using the kind of cheap digital process which makes it all feel like a TV movie. Jackie Chan tops and tails the film, first appearing on the set of a kung fu film where he is treated in highly gratifying and deferential terms, before cutting to Indonesia and the privileged life of 16 year old layabout Zhang Yi-shan (another actor playing himself). He escapes his bad grades, bullying contemporaries and strict grandparents by somehow boarding a plane to Beijing in an attempt to join Jackie Chan’s stunt team. Once in China, the film jumps about from a knockabout comedy to serious crime drama. He ends up at a monastery and spontaneously appears on the set of a Yuen Wah film, before being kidnapped and held hostage by a family of small time crooks. He befriends a female cop and then saves her life in his first selfless act. The cop highlights the falsity involved in Chan’s movie-making compared to the gritty reality of life, and there’s a brief moment when Zhang starts to acknowledge a new found respect for authority. Jackie Chan then returns to share his wisdom when the kid makes it onto a Beijing Film Studios set (which resembles some sort of North Korean military camp), and there’s a palpable sense of relief when he’s on screen. Chan undeniably has powers of persuasion, but the film plays off his child-like naivety and good nature with a sense of purpose, and the results are curious to watch.